For the first time in over 20 years, the EAGE Conference and Exhibition is in Copenhagen, Denmark. Since it's one of my favourite cities, and since there is an open source software workshop on Friday, and since I was in Europe anyway, I decided to come along. It's my first EAGE since 2005 (Madrid). One talk this afternoon left an impression. Roberto Herrera of the BLind Identification of Seismic Signals (BLISS, what else?) project at the University of Alberta, provoked the audience with talk of Automated seismic-to-well ties. Skeptical glances were widely exchanged, but what followed was an elegant description of cross-correlation, and why it fails to correlate across changes in scale or varying time-shifts. The solution: Dynamic Time Warping, an innovation that computes the Euclidean distance between every possible pair of samples. This process results in a matrix of cross-correlations, the minimal cost path across this matrix is the optimal correlation. Because this path does not necessarily correlate time-equivalent samples, time is effectively warped. Brilliant. I always enjoy hearing about small, grass-roots efforts at the fringes. Johannes Amtmann of Joanneum Research Resources showed us the foundations of a new online resource for interpreters (Seismic attribute database for time-effective literature search). 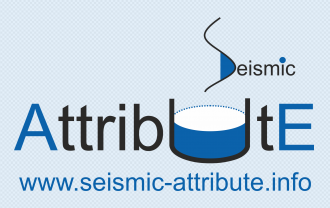 Though not yet online, seismic-attribute.info will soon allow anyone to search a hand-picked catalog of more than 750 papers on seismic attributes (29% of which are from The Leading Edge, 13% from Geophysics, 10% from First Break, and the rest from other journals and conferences). Tagged with 152 keywords, papers can be filtered for, say, papers on curvature attributes and channel interpretation. We love Mendeley for managing references, but this sounds like a terrific way to jump-start an interpretation project. If there's a way for the community at large to help curate the project, or even take it in new directions, it could be very exciting. One of the most enticing titles was from Jan Bakke of Schlumberger: Seismic DNA — a novel seismic feature extraction method using non-local and multi-attribute sets. Jan explained that auto-tracking usually only uses data from the immediate vicinity of the current pick, but human interpreters look at the stacking pattern to decide where to pick. To try to emulate this, Jan's approach is to use the simple-but-effective approach of regular expression matching. This involves thresholding the data so that it can be represented by discrete classes (a, b, c, for example). The interpreter then builds regex rules, which Jan calls nucleotides, to determine what constitutes a good pick. The rules operate over a variable time window, thus the 'non-local' label. Many volumes can influence the outcome as concurrent expressions are combined with a logical AND. It would be interesting to compare the approach to ordinary trace correlation, which also accounts for wave shape in an interval. SV reflectivity with offset. Notice the zero-crossing at about 24° and the multiple critical angles. The first talk of the day was a mind-bending (for me) exploration of the implications of Brewster's angle — a well-understood effect in optics — for seismic waves in elastic media. In Physical insight into the elastic Brewster's angle, Bob Tatham (University of Texas at Austin) had fun with shear wave ray paths for shear waves, applying some of Aki and Richards's equations to see what happens to reflectivity with offset. Just as light is polarized at Brewster's angle (hence Polaroid sunglasses, which exploit this effect), the reflectivity of SV waves drops to zero at relatively short offsets. Interestingly, the angle (the Tatham angle?) is relatively invariant with Vp/Vs ratio. Explore the effect yourself with the CREWES Zoeppritz Explorer. That's it for highlights. I found most talks were relatively free from marketing. Most were on time, though sometimes left little time for questions. I'm looking forward to tomorrow. If you were there today, I'd love to hear about talks you enjoyed. Use the comments to share.